Okay, okay, we know your dog is smart. But is she as smart as Quori, who after just 10 days on the job in New Jersey had already helped police uncover a major drug haul and make multiple arrests? Or Pacy, who helped identify the bodies of victims in the 2015 Amtrak crash in Philadelphia? Both these fine canines are alumni of the Penn Vet Working Dog Center in Philadelphia, one of the foremost research and training centers in the country. 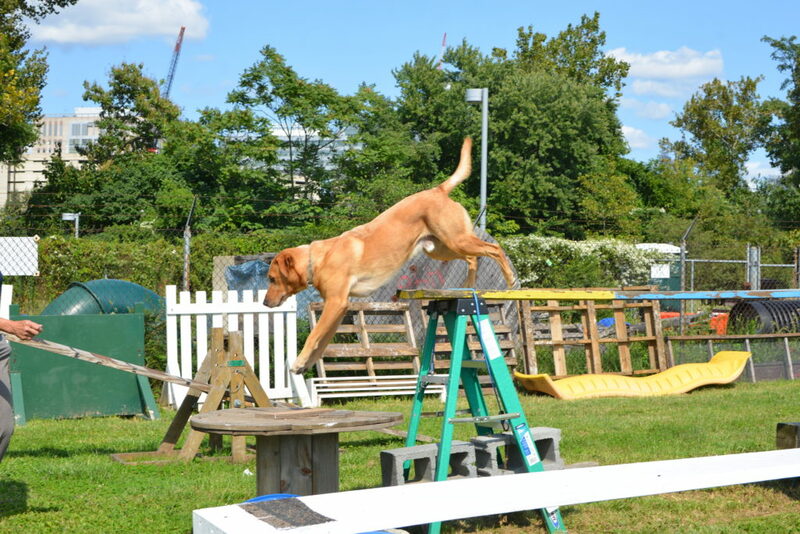 Penn Vet Working Dog Center trains dogs in search and rescue. 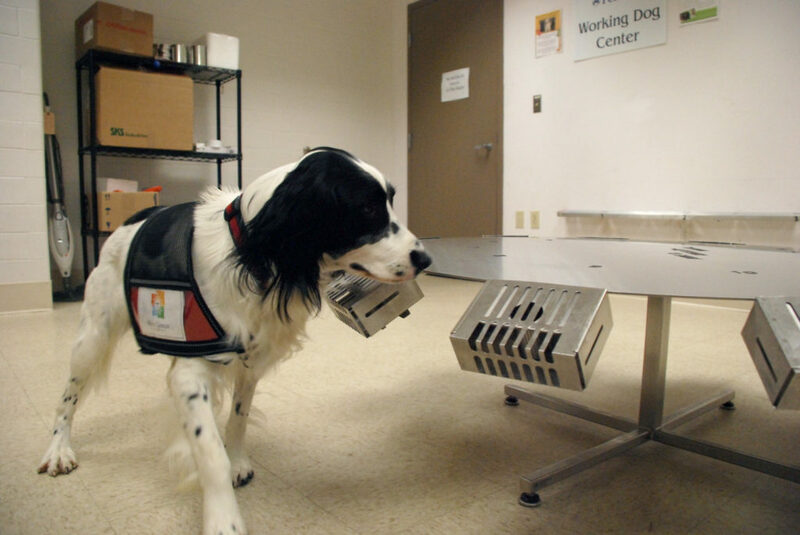 Using their highly developed sense of smell, pups at the center are trained for an astounding variety of jobs including urban search and rescue, and detecting everything from bedbugs to explosives, diabetes to ovarian cancer. “Dogs are so incredibly talented in their olfactory ability that there are almost no limits to how we can harness their sense of smell,” says Dr. Cynthia Otto, the Center’s founder and director, and an associate professor at the University of Pennsylvania School of Veterinary Medicine. A primary focus of the Center — and a well-established role for working dogs — is in military and law enforcement, detecting narcotics and explosives. The Center is also preparing dogs for more intricate roles in this sector. Then there’s the K-9 Artifacts Finders program, which deploys dogs to detect smuggled art and antiquities. The current phase of the study involves training four dogs to sniff artifacts from the Penn Museum that originated in the Fertile Crescent region of modern-day Iraq and Syria, a prime target for cultural heritage looting, in order to find specific odors. “We believe that there will be some odor from the place similar to what is described as terroir in wine,” says Otto. Finding scents linked to illegally looted artifacts could help customs officers apprehend heritage traffickers and their smuggled property at airports and cargo facilities. If successful, additional funding will be sought for on-the-ground testing and, later, a demonstration program for customs officials in the United States and abroad. “The project’s hoped-for outcome is to develop new methods to disrupt the global trade in illicit cultural property, art and antiquities,” says Michael Danti, a consulting scholar to the Penn Museum, which is a partner in K-9 Artifacts Finder, along with the nonprofit Red Arch Cultural Heritage Law and Policy Research. 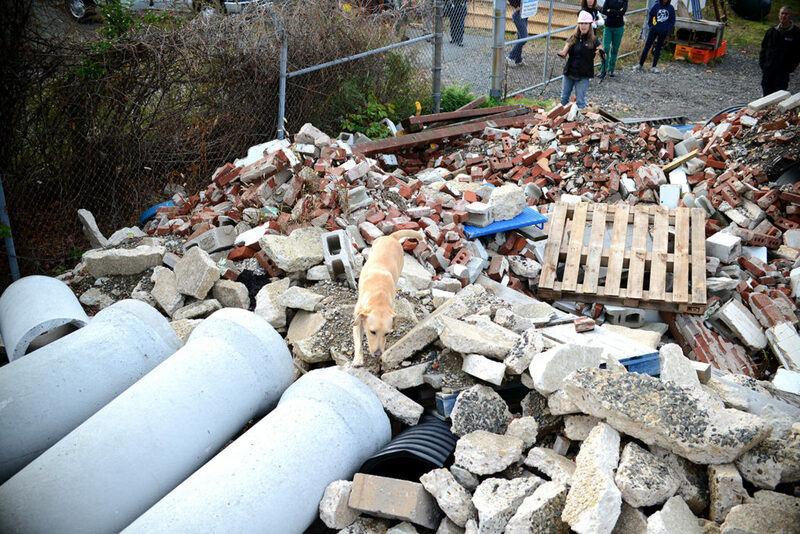 Otto was inspired to found the Penn Vet Working Dog Center after caring for the working dogs who searched the rubble at Ground Zero in the wake of the 9/11 attack on the World Trade Center. The Center opened eleven years later on September 11, 2012, with a unconventional approach to training working dogs: focusing on puppies rather than older dogs, using positive reinforcement, and allowing the dogs to live with volunteer foster families at night and on weekends. The training regimen begins when dogs are about eight weeks old — they learn the basics of search, agility, fitness, impulse control, obedience and drive, eight hours a day, Monday through Friday. 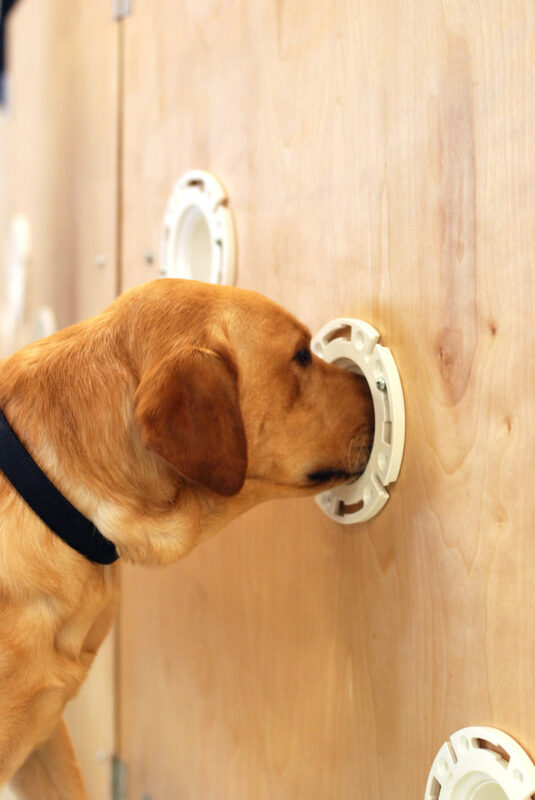 The dogs are also trained to find live humans (a skill that translates to search-and-rescue or police work) and to identify a generalized odor. From that “liberal arts” foundation, the dogs are then assigned a “major” that suits their physical and behavioral strengths, and then trained to detect specific odors. The process generally takes between 12 and 18 months, not including career-long continuing education (most working dogs retire at between nine and ten years old). A full 93 percent of the Center’s dogs graduate to a career. Popular working dog breeds include Dutch and German Shepherds, and Labrador Retrievers. Reputable breeders donate many of the dogs (purebred animals allow the Center to better understand the relationship between a particular dog’s genetics, physiology and performance skills.) 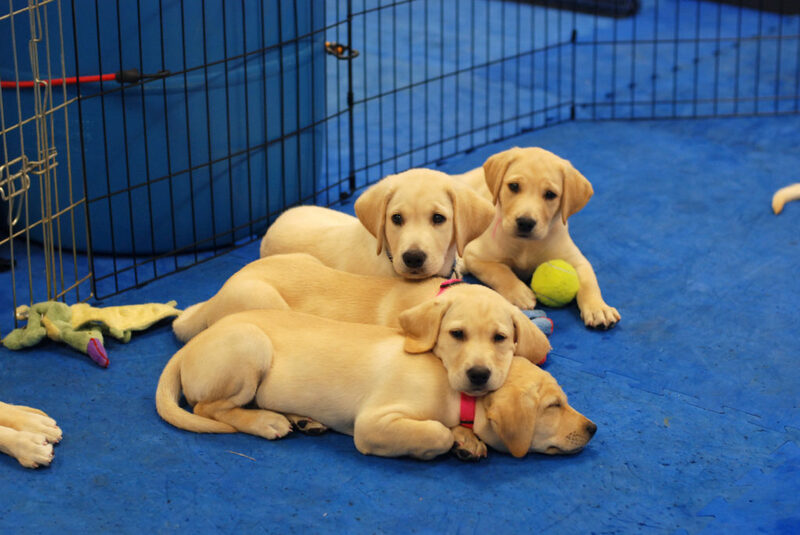 The Center also breeds puppies (the first in-house litter was born in 2014), conducts research, and collects and analyzes genetic, behavioral and physical data to optimize the success and well-being of detection dogs.